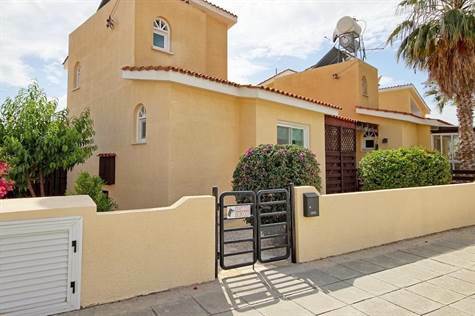 Konia, Paphos - This superb detached house is located in a quiet residential area of Konia, a preferred village just on the outskirts of Paphos. A detached property with easy to manage, very private secure gardens all around. Please refer to MLS#: 1381 when inquiring.